Together Bonded silver and 9ct yellow gold 18" curb chain. Ideal for everyday work or play. 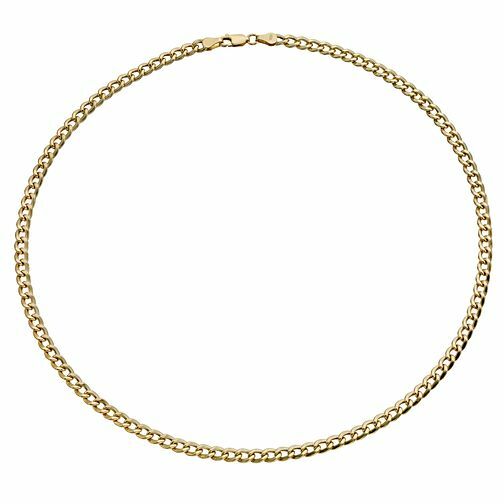 Together Silver & 9ct Bonded Gold 18" Curb Chain is rated 5.0 out of 5 by 4. Rated 5 out of 5 by Anonymous from Very high quality Chain have no problems, you are definitely getting your money’s worth with this product. Rated 5 out of 5 by Anonymous from Happy customer Came well packaged , paid extra for gift wrap and it was perfect Brought as a gift for my partner , he is very happy with it This necklace is brilliant quality , the clasp looks and feels sturdy Very happy with my purchase , would recommend !